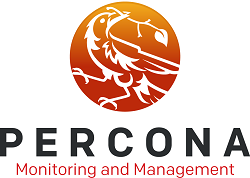 Percona announces the availability of Percona Monitoring and Management (PMM), an open source software database monitoring and management tool. Completely open source and free to download and use, Percona Monitoring and Management provides point-in-time visibility and historical trending of database performance that enables DBAs and application developers to optimize the performance of their MySQL and MongoDB databases. Percona Monitoring and Management combines several best-of-breed tools, including Grafana, Prometheus, and Consul, in a single, easy-to-manage virtual appliance, along with Percona-developed query analytics, administration, API, agent and exporter components. Percona Monitoring and Management monitors and provides actionable performance data for MySQL variants, including Oracle MySQL Community Edition, Oracle MySQL Enterprise Edition, Percona Server for MySQL, and MariaDB, as well as MongoDB variants, including MongoDB Community Edition, and Percona Server for MongoDB. PMM is an on-premises solution that keeps all of your performance and query data inside the confines of your environment, with no requirement for any data to cross the Internet. Maps queries against metrics to help make informed decisions about crucial database resources: platform needs, system growth, team focus and the most important database activities. PMM provides database maintenance teams with better visibility into database and query activity, in order to implement actionable strategies and issue resolution more quickly. More information allows you to concentrate efforts on the areas that yield the highest value. Like prior versions, PMM is distributed through Docker Hub and is free to download. Full instructions for downloading and installing the server and client are available in the documentation. A PMM demonstration is available at pmmdemo.percona.com. We have also implemented forums for PMM discussions. There will also be a webinar with Percona’s Roman Vynar, Lead Platform Engineer on Thursday, September 15, 2016 at 10:00am PDT (UTC-7) about “Identifying and Solving Database Performance Issues with PMM.” Register here for the webinar to learn more about PMM. Can’t attend the webinar we got you covered! Register anyways and we’ll send you the recording and slides even if you can’t attend the webinar. As always, thanks for your continued support of Percona! Do not use in production until thoroughly tested and vetted on non-production machines in your environment.” so…? Thanks for the catch! We removed that line. This is not beta any more. Do you know if the PMM server is meant to be a docker container forever? It just doesn’t really fit into our production environment here. Is it useful to duplicate ?